My first “trot” around Donner lake was in 2008. I was pushing a kid (or two?) in the stroller. 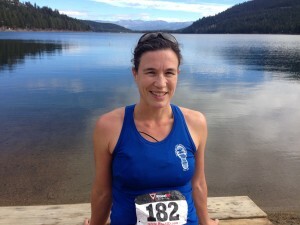 I was new to running and racing and had a fabulous time chatting with friends. Since then, I have “become a runner.” And, ironically, this is the reason I was not entirely enthused about running the Donner Lake Turkey Trot this year. Let me explain… I have had a sore throat and cough for about 10 days. Low grade, to be sure, but enough to keep me less active than normal. The last race I trained for was the Bizz Johnson 50k, which definitely makes the 7 miles around Donner Lake seem like a sprint. And “sprinting” is hard. The truth is, I didn’t want to run if I couldn’t do well (which is all relative, anyway). As I scurried to pick appropriate clothes for the kids, I considered that the road route around Donner Lake would likely be 100% dry and clear for the first time that I can remember. Then I got over my-runner-self and decide to go run! After all, that’s what runners do! A beautiful day to run around Donner Lake! 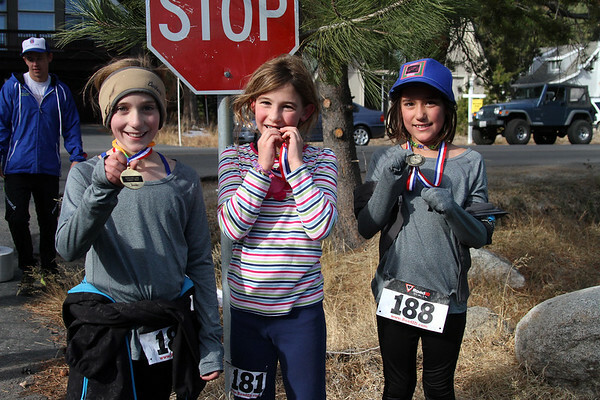 As the story goes, the Donner Lake Turkey Trot has been taking place since 1976, rain, shine, snow or ice. It is now a fundraiser for the Auburn Ski Club, and they do a great job organizing and setting the tone for a fun, family-oriented event. The course is a 7-mile counter-clockwise loop around Donner Lake, starting and finishing at West End Beach. In more recent years, they have added an early start time for walkers. Click here for a general Donner Lake route description. The “Mashed Potato Mile” for kids is an out-and-back from the same location. 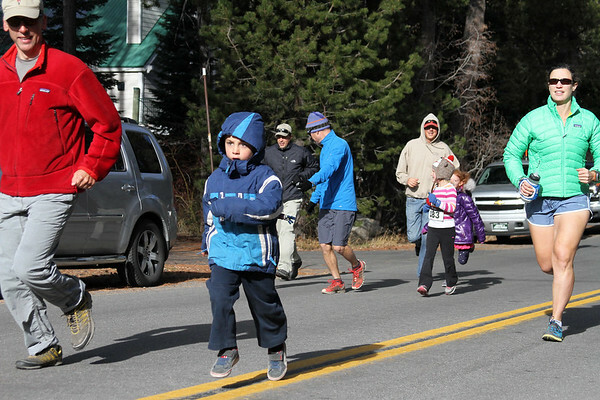 The kids run starts a half hour before the 7-mile lake run, leaving just the right amount of time for a parent to warm up on the mile with the kids and then head out for the run around the lake. I didn’t start coughing until after the run, though I was sucking air and it was noticeably more difficult than it should have been. But I was right about the weather conditions – apart from a mild head wind on the way back, it was the ideal race temperature and the pavement was completely clear. It was a great day to run – fast or not! As always, race photographer extraordinaire Mark Nadell was on hand to capture the action. Alex running the mile – Daddy is in front and I am behind. Photo by Mark Nadell. Clara is in the middle, checking her medal for authenticity. Photo by Mark Nadell.